When parents decide they need to get a divorce during the very first few months of a child’s life there can be some unique questions that come up. The two biggest of these questions are what happens when the infant is breastfeeding and how is this handled with the similar need for bonding time for both parents? The question then becomes how do we handle creating parenting plans while a baby is breastfeeding that will fit both these goals. It is hard for parents of split homes to juggle schedules and parenting plans in the best of circumstances. When infants or young toddlers are involved it can be even more challenging due to feeding schedules. Science shows the benefits of breast feeding for infants outweighs the formula options available, so what does that mean for ensuring the children spend quality time with both parents during those early years? If the parents are fighting over custody, there can be a biological favoritism for the mothers in these cases. If you think about it, the judge is charged with determining what is in the best interest of the child. The judge certainly can and likely will consider the biological and dietary need for breast milk in that decision. This, unfortunately for fathers or the non-breast feeding parent, can result in a breastfeeding mother winning custody simply because she is able to breastfeed. This doesn’t mean mothers will always win because of this, but it is a factor you will want to be aware of when you go to court. When custody isn’t in dispute, this can still present difficult problems with developing a parenting plan. It can be quite a challenge to expect the mother to pump enough breast milk for lengthy stays with the father. 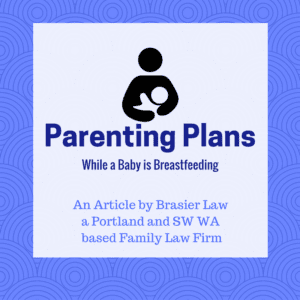 Partly because of this, often times with infants, the court will order the non-breastfeeding parents time to be for a short duration, but as frequently as schedules can manage. It is best if children can spend a lot of time with both parents, but sometimes that means the parents need to be able to cooperate and work together despite possible animosity between them. Another issue that sometime comes up is what to do if your child’s other parent does not show up for their parenting time. 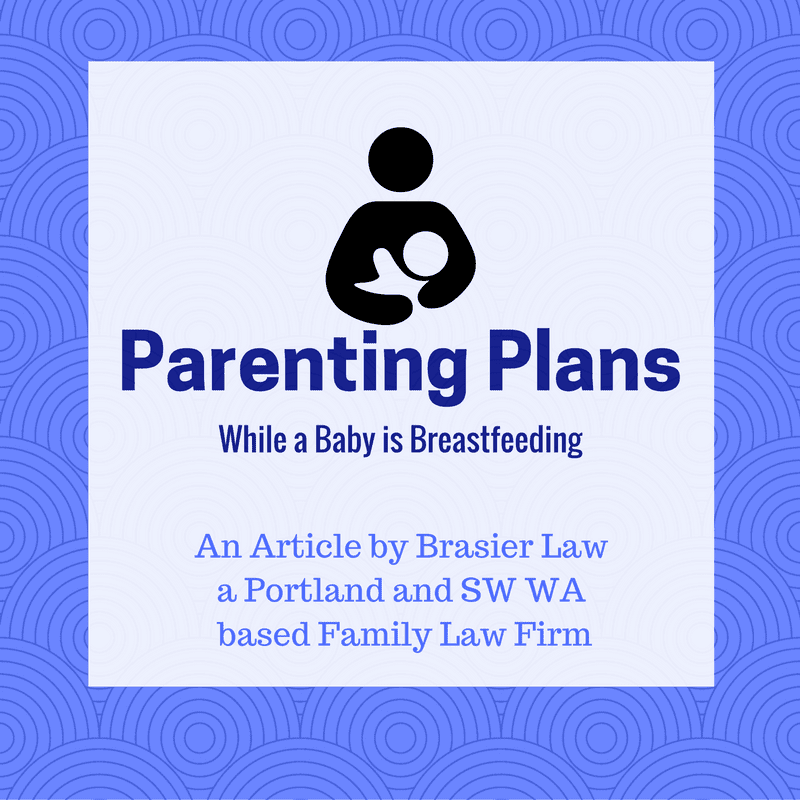 If this has been a consistent problem for you our article What Happens When Oregon Parenting TIme is Not Taken will be helpful to read now. Tom Brasier is an experienced Portland family law attorney practicing in the greater Portland, Oregon and Southwest Washington areas. Brasier Law specializes in divorce, custody, and restraining orders providing high quality services that are tailored to fit the specific needs of our clients. You can contact us directly at 1 (503) 855-4777 or by using the contact us form below. All information provided in this article is meant to be informational and it is important to contact your attorney about the specifics of your case.